I’m sure you are looking for interesting and stylish ideas for coming spring and summer, so today we have prepared ones just for you. 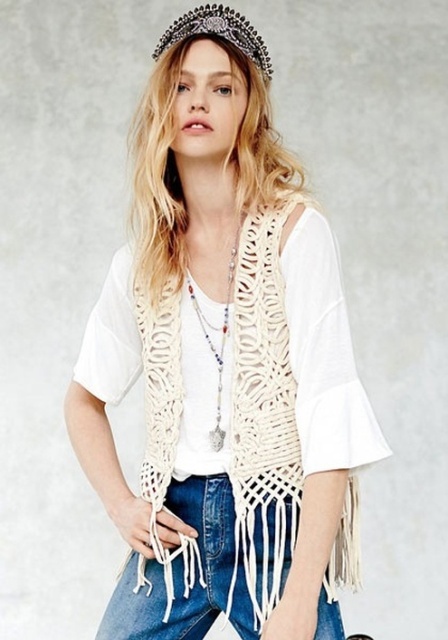 How about crochet vests? No doubt these pieces of clothes look feminine, airy and so cozy so if you don’t have a such item yet, then you should find a perfect one as soon as possible. 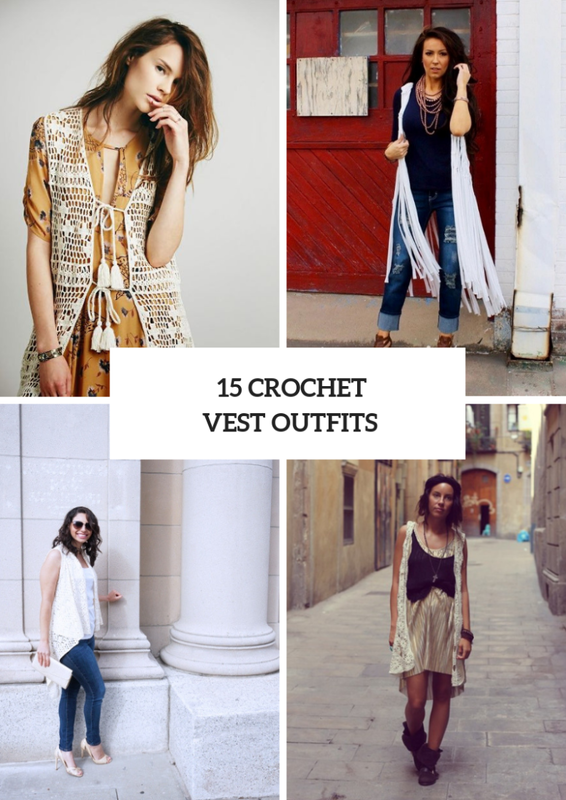 First of all, you need to choose a length for your new vest from a cropped to maxi one. Secondly, think about a color, for example, you can get a classic white vest or try to find a black, navy blue, beige or gray ones. Right now you can scroll down to see all ideas. 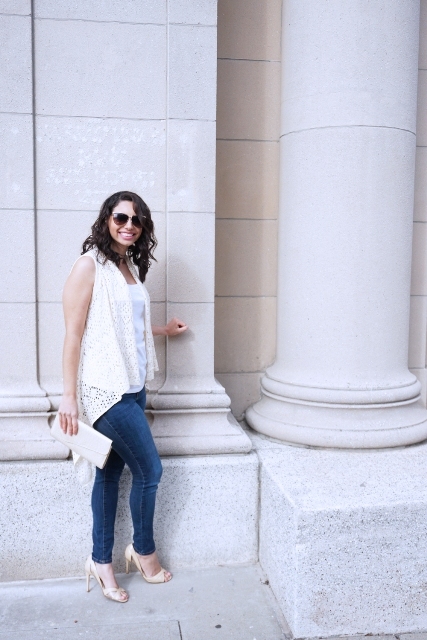 For colder spring days you can take a marsala blouse and combine it with a white crochet vest with a fringe, black leggings, sunglasses and black leather high boots. 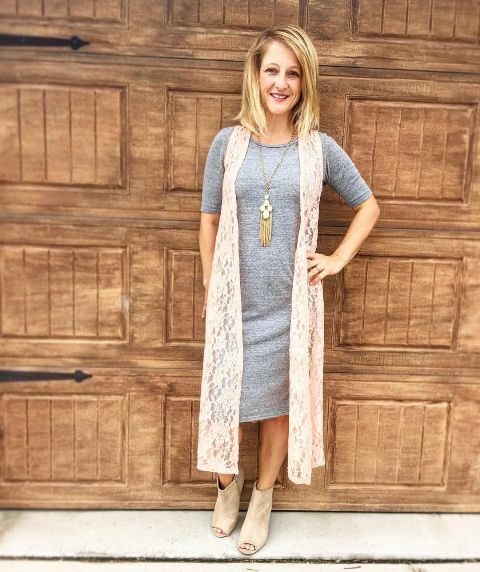 Or you can choose a navy blue three quarter sleeve shirt and mix it with a maxi vest, a necklace, distressed cuffed straight jeans and brown cutout platform shoes. Do you love a minimalistic style? Then try to repeat a look with a beige fitted top, classic jeans and a beige knee-length vest. Wanna create a casual outfit? Then you can take a light blue button down shirt and combine it with a polka dot mini skirt, a white crochet vest and brown leather shoes. Or try to pair a gray straight midi dress with short sleeves with a maxi vest, a necklace and beige suede cutout ankle boots. If you want to make a boho chic styled look, then combine a beige mini dress with a black vest, a white kneel-length vest, a black headband and flat ankle boots. 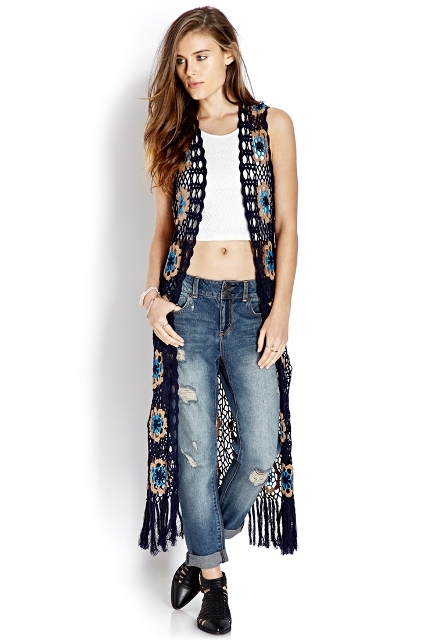 Or pay your attention to floral loose dresses and mix them with maxi vests.